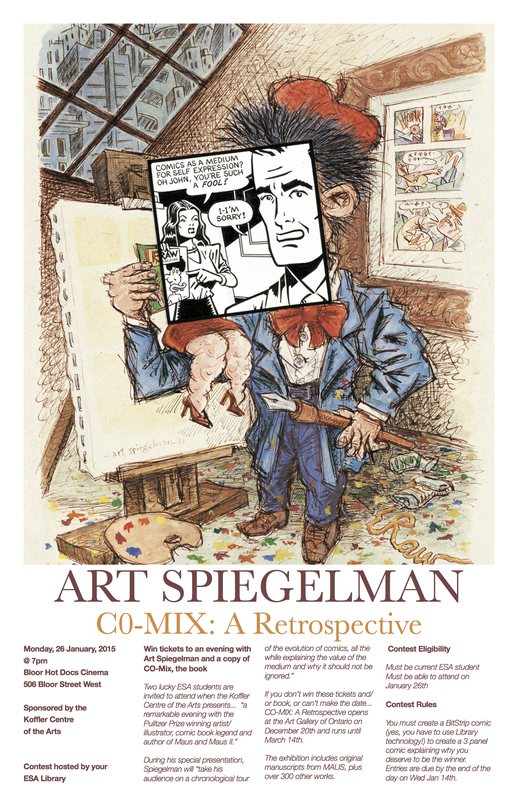 Win a copy of CO-MIX: A Retrospective by Art Spiegelman… and a ticket (or tickets!) to a very special evening with Art Spiegelman on Jan 26th, 2015 at the Bloor Hot Docs cinema. Submit a 3 panel BitStrip comic telling us why you deserve to win this special prize pack and it could be yours. All entries must be received in the Library by the end of the school day on Wednesday January 14th.